Hair is one of the most important aspects of our looks. Perhaps, this is the reason why the market is flooded with all sorts of hair treatment and styling products, ranging from simple hair oils and shampoos to high end hair spa and rebonding products. Beautiful, lustrous and shiny strands are value additions to our looks and personality whereas dull and frizzy hair makes us look lousy and equally dull. However, it is not easy to maintain the natural texture and shine, especially when it gets exposed to heat, dust and pollution from air and water. It requires a lot of care and pampering, although some people have exceptionally healthy hair which does not require much care. Hair care starts with proper nourishment and moisturizing and the most viable option is to go for a treatment which helps in smoothing and firming up the cuticle of the hair. 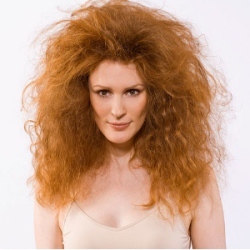 Various treatments available in salons, although effective, are very expensive and does not help much in the long run. Therefore, instead of burning a hole in the pocket, we can do various hair treatments at home. These treatments are not only natural, but also have a lasting effect. A good hot oil treatment provides moisture to dull and frizzy hair and makes them smooth and flowy. For this, coconut, olive, jojoba or castor oil can be used or you can make a mixture of two or more of these. The easiest way for hot oil treatment is to heat the oil and apply it on the scalp and massage gently for about fifteen minutes, then leave it for another forty-five minutes and wash it off with shampoo. For better results, you may go for a hot oil and towel treatment. For this, you will need to apply hot oil on the scalp through the length of the hair and wrap it around with a towel soaked in hot water. Keep the towel wrapped on the hair for fifteen to twenty minutes and then remove it. Now, gently massage the scalp for five to ten minutes and wash it off with shampoo. This will leave your hair very soft and shinny. Repeating this therapy once in fifteen days, goes a long way in repairing any serious hair damage and makes it healthier than before. 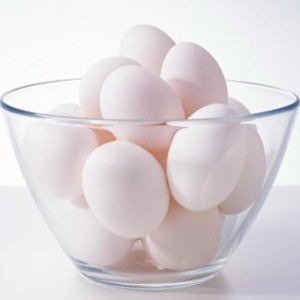 Eggs contain loads of proteins. They not only provide nourishment to the hair but are also very good conditioners. They help in scalp treatment and repairing of dry and and frizzy hair. Besides, they provide moisture to our hair when it becomes rough and brittle due to various reasons. Apply one or more beaten egg into your scalp and hair as per its length and volume, cover the head with a shower cap and leave it for about twenty minutes and then rinse it off with water. If you have oily hair, make sure you use the egg whites only and if the mixture is foul smelling, you may add a few drops of lemon juice into it. Repeat the treatment every fifteen days, until you get back the natural and healthy look of your hair and then go for it once in a month. 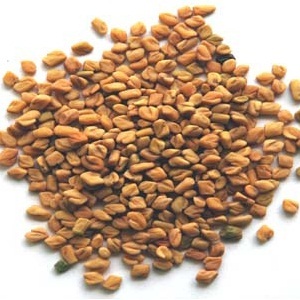 Methi is a rich source of proteins and nicotini acids that helps in hair growth. Apart from reducing the dryness and dullness of hair, it helps in rebuilding follicles of hair and combating dandruff. It acts as a natural serum and hair conditioner that hydrates the hair and keeps it shinning naturally. It is always good to use it as a hair mask. Soak about two table-spoons of dry methi seeds overnight in a little water. In the morning, put the soaked seeds in a blender to make a very fine paste. Now, mix a few drops of coconut oil into the mixture and apply it on the whole hair, from root to tip. Allow the paste to remain for half an hour and then rinse off with shampoo. The hair will remain shinny and silky soft for days. This beautiful flower, known for its captivating powers, is full of health and beauty benefits, especially for the hair. Its extracts are widely used in shampoos, conditioners and hair oils and occupies a very important position in ayurveda. It strengthens the hair from the root and has the ability to stimulate the growth of hair and prevent split ends due to the presence of inolenic and hyaluronic acids in it. It can be applied in either of the two ways. The first one is to make a fine paste from a few flowers, apply it on the scalp and hair and rinse off with shampoo after half an hour. 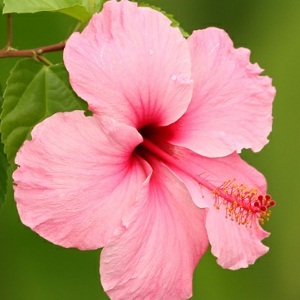 The second method is to cook hibiscus flowers in coconut oil over low flame, allow the mixture to cool and massage it into the scalp and hair like a hair oil. 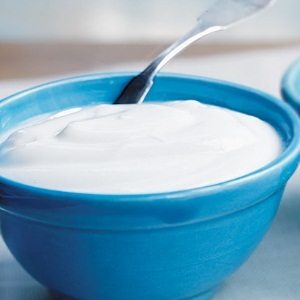 Yoghurt, another rich source of protein, applied as a hair pack, acts as a very good cleanser, moisturizer and conditioner. The lactic acid present in it also wipes off dust, dandruff and itchiness of the scalp. Whip some fresh yoghurt into a bowl and apply in on the scalp and hair covering its entire length and volume and leave it for an hour and then rinse off. This pack is very easy to apply and can be used once in a week. However, it is better to avoid it if you are suffering from cold, migraine and during the winters, as the pack has a cooling effect. Mayonnaise is a mix of oil and eggs while avocado has more protein content than any other fruit. A mixture of the two works wonder on dry and damaged hair. 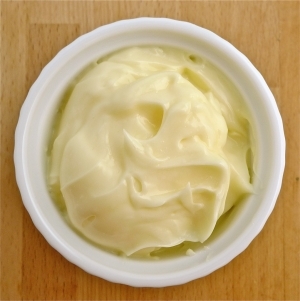 Take some mayonnaise and a mashed avocado in a small bowl and apply it from root to tip of the hair, making sure that you cover the hair shafts completely and leave it for twenty to thirty minutes and rinse off with water. You will be surprised by the after effects of this blissful fruit on your newly found beautifully conditioned hair. 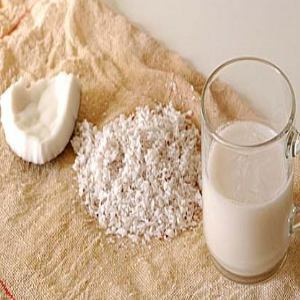 Coconut milk is very rich in protein, omega 3 fats and calcium. It not only helps in maintaining hair growth, but also prevents hair loss. Apply it on the hair just like a hair oil and leave it for about two hours. Wash it off gently with water without applying shampoo till the next day. This will help the hair to absorb natural coconut oil. For best results, apply it once a week initially and then go for applying it once in a month.